Allison Transmissions are well respected in the mining industry for their durabilty, reliability and high-performance in rugged and demanding environments. Allison Transmissions perform brilliantly in the most demanding situations and operate smoothly regardless of terrain. Whether it be slopes, rocks, hills, mud or gravel Allison Transmissions have got you covered. In mining and off-road businesses, durability and reliability are absolutely critical. Allison transmissions do more than just survive difficult conditions - they excel. Allison Transmissions are designed and manufactured for high performance without the maintenance, achieving faster work cycles, lower servicing costs, reduced down-time and extended service intervals. Whether operating on smooth surfaces, gravel roads, hills or anything else, an Allison Automatic will deliver consistant power, traction and manouverability all day long. Allison transmission deliver spirited responsiveness by accelerating faster, even under heavy load, which means you get more work done with less stress. A more responsive vehicle means a better performing driver – and that means better safety and higher productivity. Allison’s Continuous Power Technology™ deliver uninterrupted engine power simply and smoothly. This means superior acceleration, a smooth drive, effortless shifting, precise traction control and improved maneuverability – even in harsh or rugged conditions. It also helps the driver control the vehicle at low speeds. Compare this performance to a manual or automated manual transmission (AMT) – which can have a much slower launch and difficulty maintaining momentum when shifting. With an Allison Automatic, the ease of operating your vehicle and the increased safety will be evident – inching will be simple, and the rollback experienced with a manual clutch will be a distant memory. Allison makes transmission care easy and less costly. 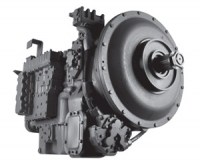 And since Allison Automatics don’t have a starting clutch, you won’t have routine clutch damage or need replacements — a downtime concern with manual transmissions and AMTs. Routine oil and filter changes are the only regular maintenance required with an Allison Automatic. With Allison’s Prognostics feature you can quickly monitor oil life, filter life and transmission health to take the guesswork and hassle out of scheduling vehicle maintenance. This saves time and money without risking damage or wear to the transmission. An Allison Automatic delivers better fuel economy and optimum performance. Allison Automatics carry more tonnage per litre of fuel and give the driver a choice of operating modes to best suit the conditions. Our transmissions select the optimum shift points based on load and terrain to automatically enhance fuel savings or add more power when needed. The transmission shifts at lower engine speeds when the truck is unloaded to provide fuel savings and automatically adjusts to higher speed shifts when more power is required. Downshifts are also managed to provide the engine or transmission retarder with capacity to maintain downhill speed without significant use of the service brake. 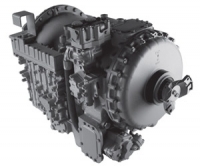 The Allison Transmission 9000 Series is designed for extreme operating conditions in highly demanding applications up to 1,939 kW (2,600 hp). These applications include oil pumping, fracking, cranes & winches as well as specialized off-highway trucks. 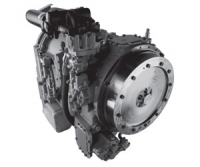 Allison 9000 Series transmissions have up to 8 forward speeds plus a maximum of two reverse speeds. The Allison 9000 features an optional hydraulic retarder, two Power Take-Off (PTO) provisions and an optional provision for customer- supplied parking brakes. For high demand energy and mining applications the Allison 9000 Series is the ultimate for applications up to 1,939 kW (2,600 hp). 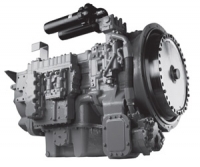 Allison Transmission’s 8000 Series is designed to match the most severe operating conditions and is used in vehicles that require up to 895 kW (1,200 hp) engines such as oil field pumping, fracturing, off-highway trucks and winch units used on derricks and cranes. With up to six available forward speeds and one reverse speed, as well as an optional hydraulic retarder and two Power Take-Off (PTO) provisions, the 8000 Series provides superior durability, productivity and safety. The Allison 6000 Series is designed for both stationary and mobile applications within the 522kW to 764kW range. The 6000 Series features up to 6 forward speeds with two reverse, has optional retarder capability and is provisioned for Power Take-Off (PTO). The Allison 5000 Series is designed for applications ranging from 373 kW to 500kW. A wide range of stationary and mobile applications for the Allison 5000 Series include: Winch, Oil Field Equipment, Dump Trucks, Tractor and Cranes. The Allison 5000 Series features up to 6 forward speeds and two reverse. Transmissions are provisioned for Power Take-Off (PTO) and optional hydraulic retarder. Transmission control system options include Automatic, Manual Electric and Manual Hydraulic. All of our technicians have completed factory accredited training courses on all accredited Allison Transmission products with many also attending extensive training courses at the Allison Transmission factory in Indianapolis, USA and Singapore. The technical skills of our employees are also regularly updated with in-house training sessions and exams in our purpose built training facility.